VILLAGE OF PINEHURST, N.C. (May 12, 2015) –The United States Golf Association announced on Tuesday that it has selected Pinehurst Resort and Country Club as the site of the 2019 U.S. Amateur Championship. The dates of the championship are Aug. 12-18, 2019. The 2019 championship will mark the third time Pinehurst has hosted the U.S. Amateur. Labron Harris Jr. won the 1962 U.S. Amateur while Danny Lee was victorious when the championship returned in 2008. Both Pinehurst No. 8 and Pinehurst No. 2 will be used for stroke-play qualifying while No. 2 will be used for match play to determine the champion. Pinehurst No. 2, the venerable Donald Ross design, was restored by the team of Coore and Crenshaw in 2010. The course has served as the site of more single golf championships than any destination in America, and in 2014, became the first course to serve as the host of the U.S. Open and U.S. Women’s Open in consecutive weeks. The 2019 U.S. Amateur will be the 10th USGA championship to be hosted by the club and the ninth since 1989, more than any other site in the United States. 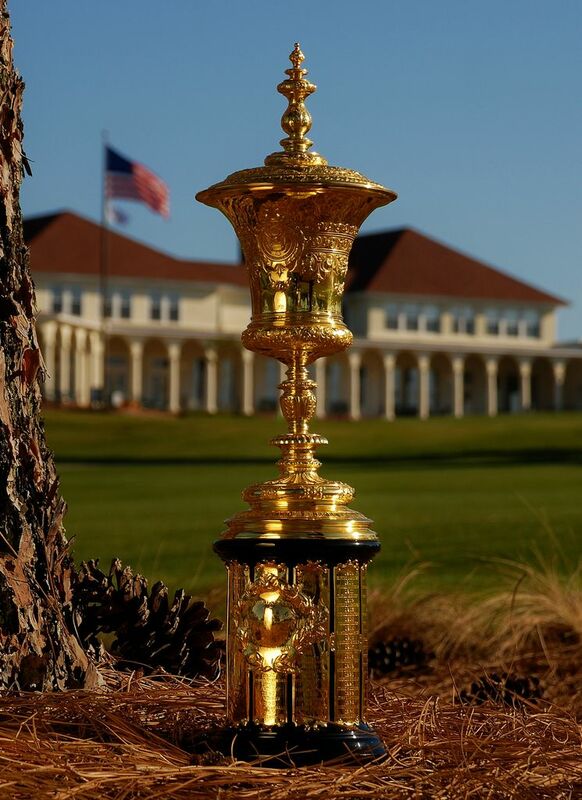 Pinehurst will also serve as host to the 2017 U.S. Amateur Four-Ball Championship. Pinehurst has a long and storied history with amateur championships, hosting the North and South Men’s Amateur since 1901 and the North and South Women’s Amateur since 1903. Past winners of the North and South Amateur include many of the USGA’s greatest champions, including Walter Travis, Francis Ouimet, Harvie Ward, Jack Nicklaus, Curtis Strange, Hal Sutton and Corey Pavin. The U.S. Amateur will be the first USGA championship conducted on No. 8, a Tom Fazio design that opened in 1996 to commemorate Pinehurst’s centennial. Also known as the Centennial Course, No. 8 previously hosted the 1997 and 1998 PGA Professional National Championships. The U.S. Amateur Championship is open to amateur golfers with a Handicap Index® not exceeding 2.4. Throughout its history, the U.S. Amateur has been the most coveted of all amateur titles, with notable champions such as five-time champion Bob Jones, three-time champion Tiger Woods, two-time winner Jack Nicklaus, Gene Littler, Arnold Palmer, Lanny Wadkins, Craig Stadler, Jerry Pate, Mark O’Meara, Hal Sutton and Phil Mickelson. 1962 U.S. Amateur – Labron Harris Jr. Located in the North Carolina heartland, Pinehurst Resort & Country Club, established in 1895, is a 2,000-acre property featuring an award-winning spa, nine golf courses, tennis, and activities for the family. Widely known as the cradle of American golf, Pinehurst has hosted more single golf championships than any other site in America, including the U.S. Open, PGA Championship, Ryder Cup Matches, TOUR Championship and many others. In 2014, it served as the site of the historic back-to-back U.S. Open and U.S. Women’s Open championships. Go to pinehurst.com or call 800-487-4653, for a complete list of events and activities.